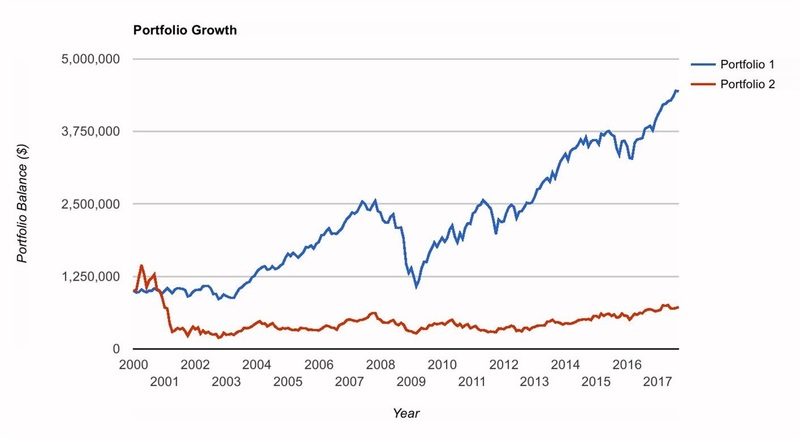 Should You Just Buy a Few Blue Chips? Few investment approaches seem simpler and more intuitive than buying and holding a handful of large, successful companies. By the time they've established themselves, the thinking goes, these businesses have strong competitive positions in their industry, solid earnings, and a bright and stable future. All this is true, with only one problem: the market knows these facts as well and has marked up their prices accordingly. 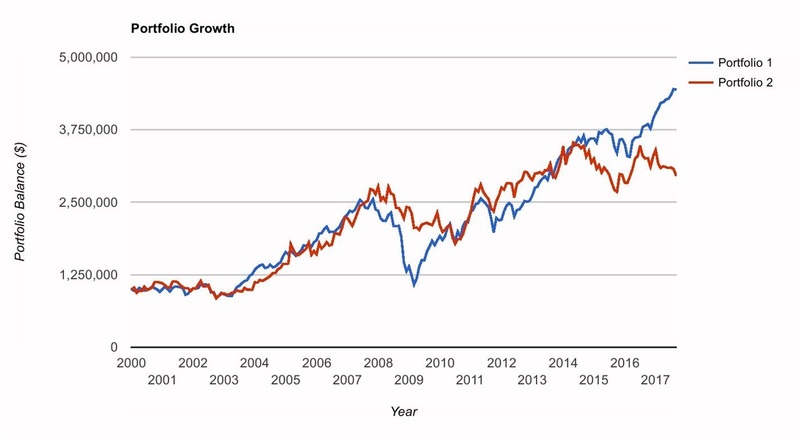 And high current prices typically lead to lower future returns (and vice versa). 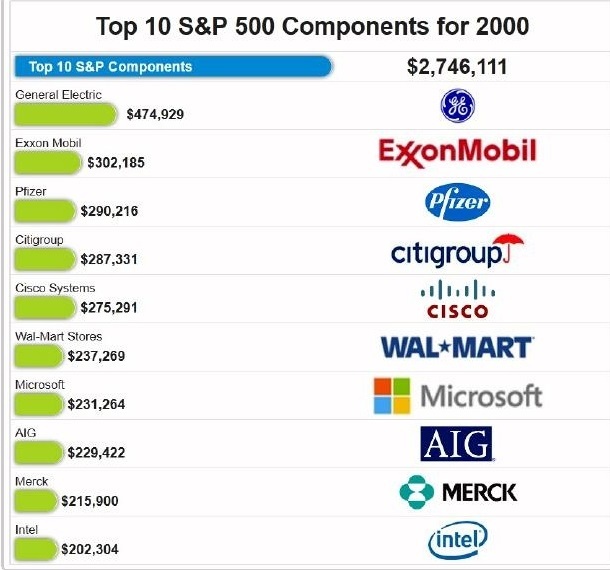 Consider the top 10 stocks in the market at the turn of the century: GE, Exxon Mobil, Pfizer, Citigroup, Cisco, Walmart, Microsoft, AIG, Merk, and Intel. How would you have done if you bought all of them in equal amounts? 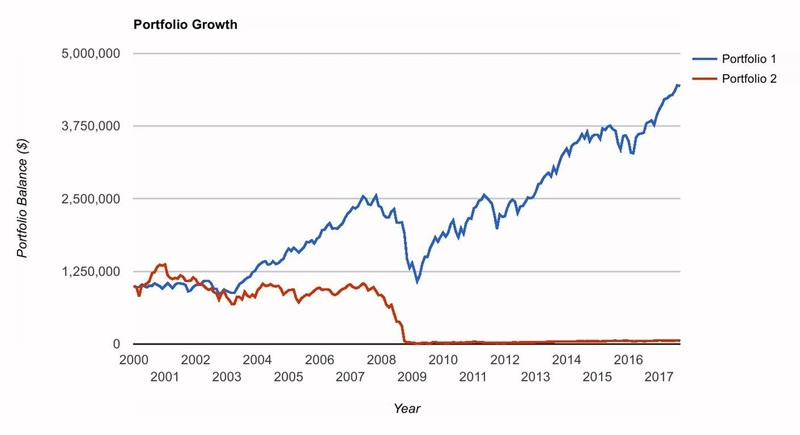 The red line (Portfolio 2) illustrates the growth of this portfolio starting with $1M on January 1, 2000. 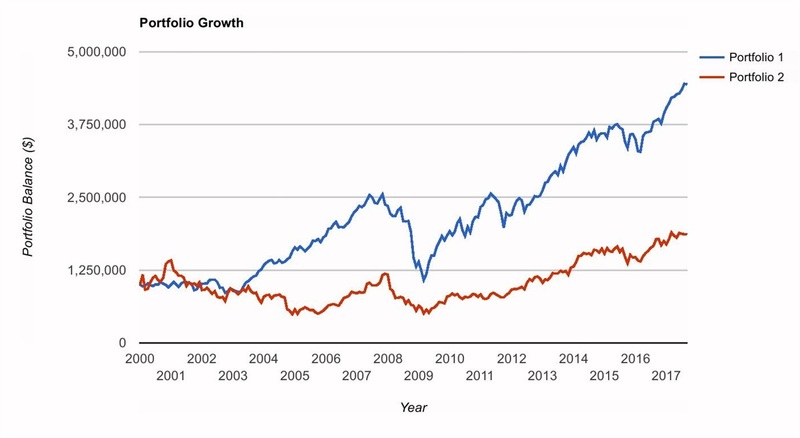 At a +3.3% annual return, dividends included, the blue-chip portfolio only grew to $1.7M, barely outpacing inflation. 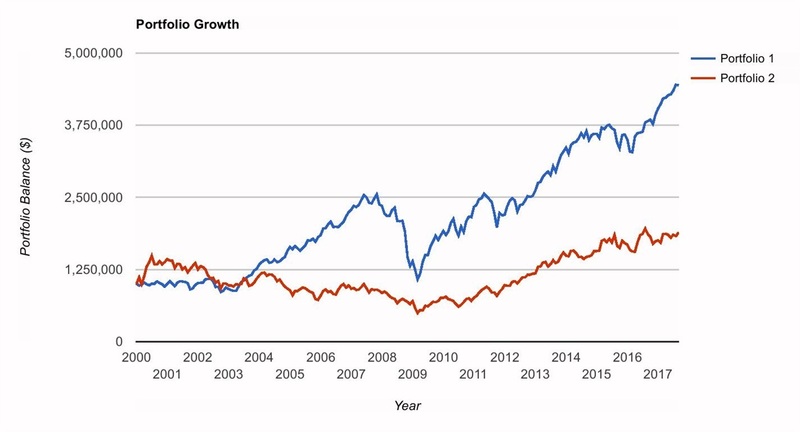 For comparison, the blue line (Portfolio 1) illustrates the returns of a globally diversified stock portfolio that emphasizes higher returning smaller and more value-oriented stocks. Instead of holding 10 stocks it owns over 10,000. 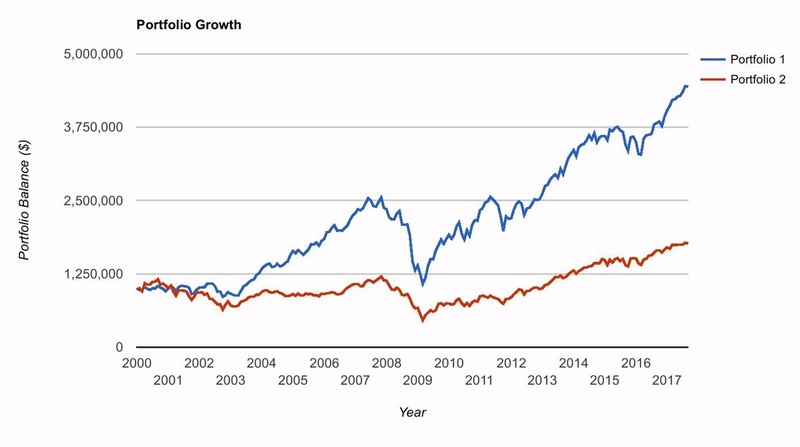 The differences are remarkable -- Portfolio 1 compounded at +8.8% per year and $1M grew to over $4.4M. 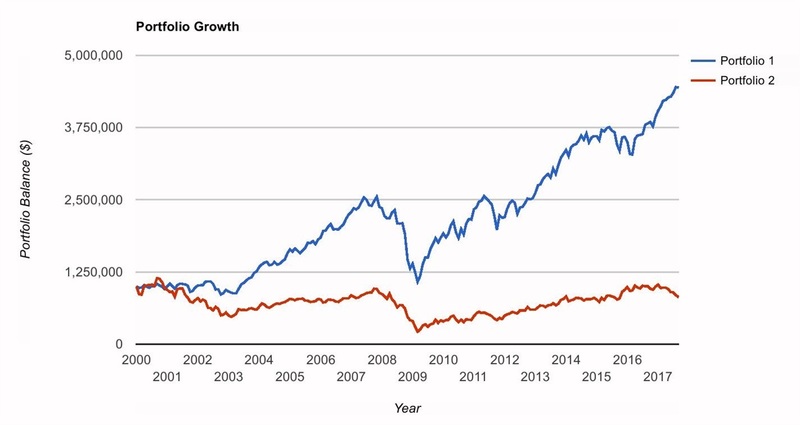 But maybe the blue-chip portfolio was saddled by a few bad stocks? 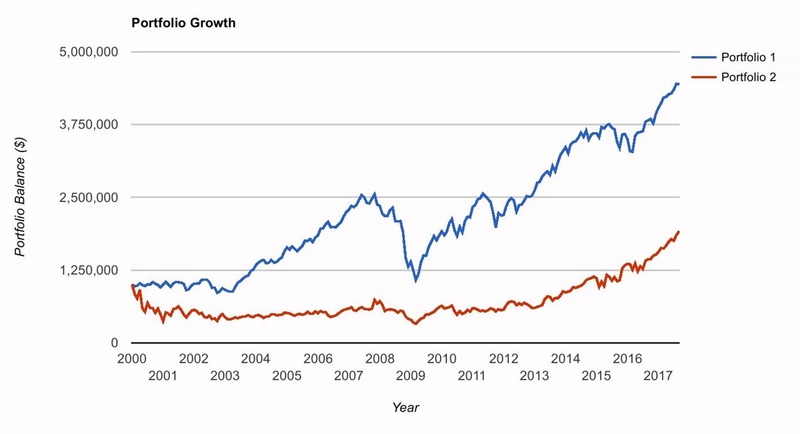 Let's look at each company individually, listed in order of their relative size in 2000, each time comparing it to the more diversified portfolio (always "Portfolio 1"). 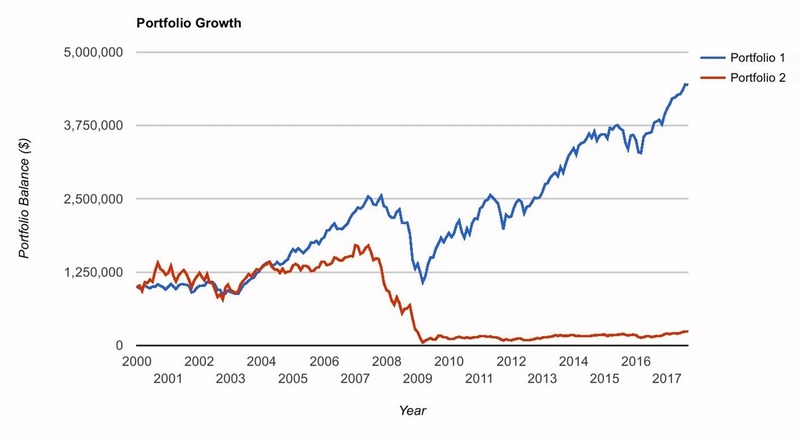 All 10 individual stocks underperformed the more diversified portfolio, and it wasn't even close. 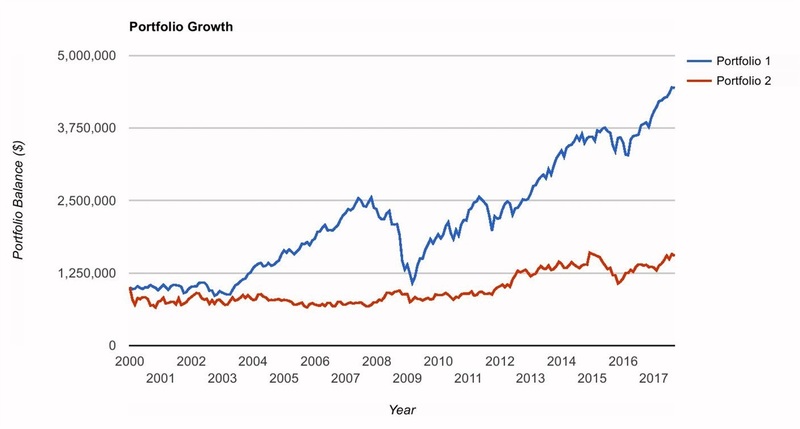 What's more, none of the individual stocks were safer (when measured by volatility of returns) than the diversified portfolio that included riskier small-cap and value companies. 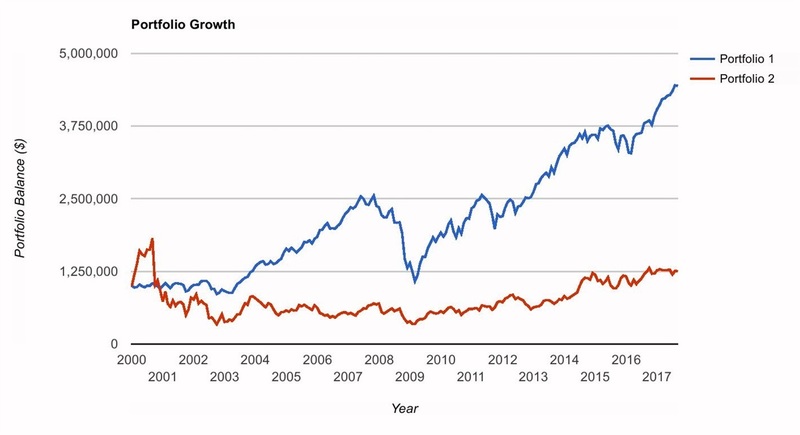 So yes, buying a handful of large-cap, blue-chip US stocks might seem simple, safe, and intuitive, it's just not likely to be very profitable.